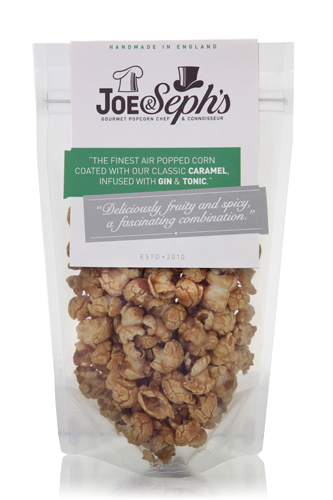 Before I gave up sugar at the end of last year, Santa left in my stocking this gin and tonic flavour popcorn by Joe and Seph’s Gourmet Popcorn. I can usually take or leave popcorn but, oh my word. This stuff is amazing. Seriously, if you like a nice G&T, you will love this. They taste of smooth, sweet caramel and right when you’re thinking that they don’t taste of G&T at all, the juniper & quinine tang hits you. And then you want more. 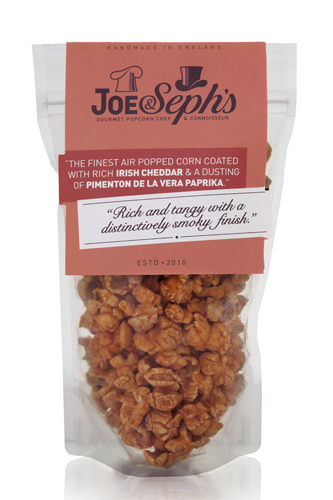 Joe & Seph have created some amazing sounding flavours. Madras curry with black onion seed and lime? Cheese on toast? Irish Cheddar & Paprika? Caramel, Mirin, Soya & Sesame? Oh, how to choose! There are some good gift packs and you can brand your own packets if you buy in bulk, they’d make excellent wedding favours.